Rice porridge topped with fried crispy wontons and chopped cilantro. My first congee experience was horrible and I’ve never liked this Chinese rice porridge since. I was in the San Francisco Chinatown and had walked into a random Chinese restaurant where everything was written in Chinese except for a few menu items tacked onto their walls, one of which was congee. I ordered the chicken congee without really knowing what it was. 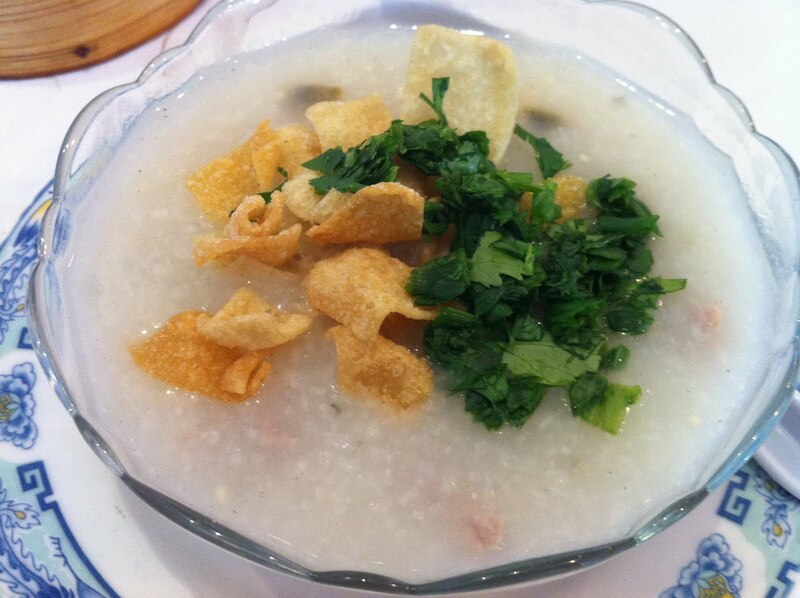 When I received the HUGE bowl of white rice porridge, I was so disappointed. There are a few textures I really don’t enjoy and runny, slightly slimey, slightly thick and gelatinous porridge with bits of things floating in it is one of them, lol! I took a few bites, left the restaurant, and have never tried congee since. This entry was posted in 7x7 Big Eat SF, Restaurant, Ton Kiang and tagged cilantro, rice, soup, wonton by vicentesf. Bookmark the permalink.